I just want to export my stems and go to have coffee! MEAP will enable the process to be done unattended. 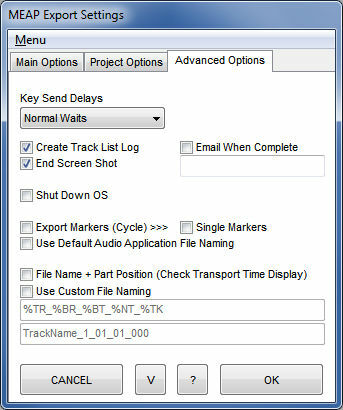 It does not speed up the process of exporting tracks but simply eliminates the need for human interaction. Why use MEAP when new Cubase & Nuendo do batch export? 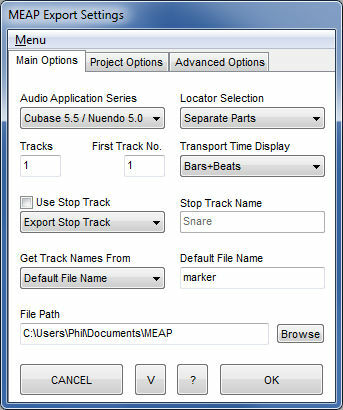 The batch export option is only available in the full version of Cubase. (Not AI or Artist). 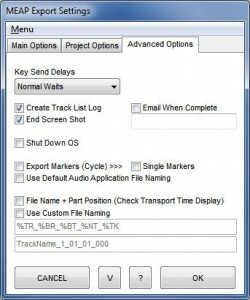 There are no advanced or custom file name settings. This is improving but it is not as comprehensive as MEAP yet. 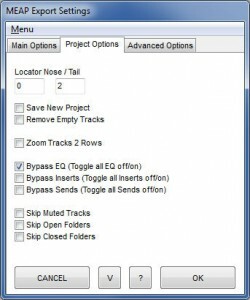 There is no way to automatically save your project and shut down your DAW or send you an email when the export is finished. If you want to find out more about MEAP please have a look at the Video Section, Online Manual or the FAQ. If you cannot find the information you are looking for or have any general questions – Please use the General Contact Form. For other compatibility please ask, it may be possible to quickly adjust MEAP to run with your application.